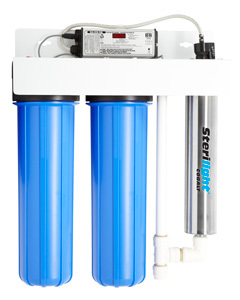 Sterilight Cobalt's compact, point-of-entry water treatment system with both disinfection and filtration. These systems feature high-output, axial flow UV technology, simple installation, and takes up the least amount of space compared to systems like it. The system has a 1" FNPT inlet connection and a unique combination port (3/4" FNPT & 1" MNPT) on the outlet connection. 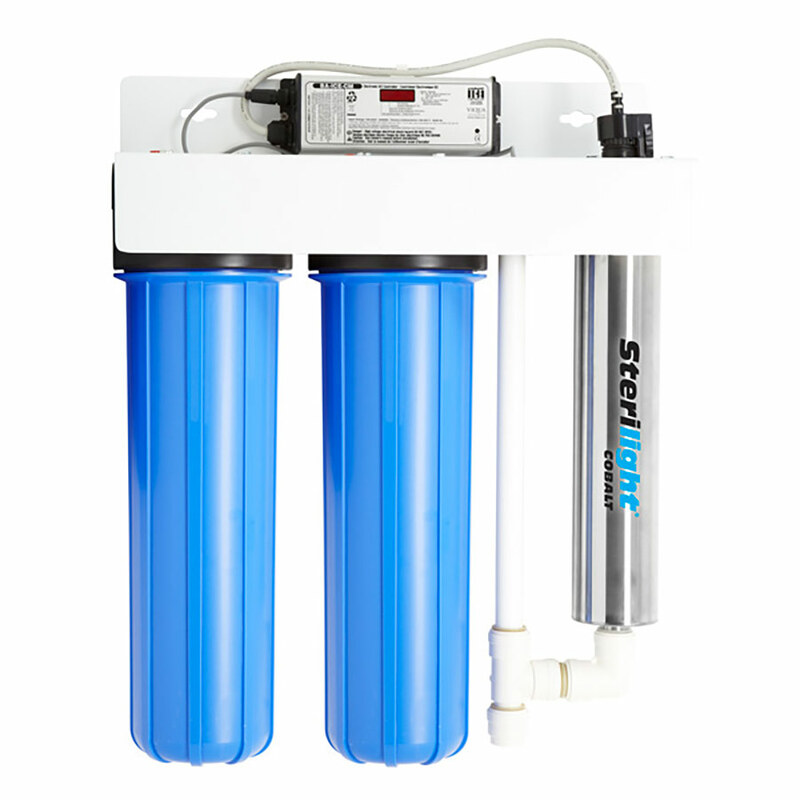 This compact unit incorporates Sterilight's Cobalt disinfection system and two, Big Blue size (4-1/2" Diameter) filter housings, all on the same installation bracket. The Cobalt "BASIC" SC-320 disinfection systems incorporate high-output UV lamp technology coupled with efficient axial flow reactors. This modular line of UV disinfection systems in flow rates of 8-40 gpm (30.3-151.4 lpm), are ideally suited for commercial/industrial, point-of-entry applications with high flow rates and constant flow demands.